For more than 25 years, the Dave Thomas Foundation for Adoption has had a special relationship with Wendy’s® built on a shared commitment to achieving Dave Thomas’ vision that every child has a permanent home and loving family. 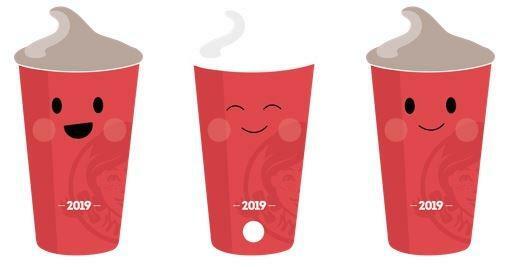 The Wendy’s Company, its franchisees, suppliers, employees and customers unwaveringly support the Foundation through events and in-restaurant campaigns, such as Frosty Key Tags, Halloween Coupon Boo! Books, National Adoption Night and Coin Canisters. Learn more about Wendy’s commitment to growing families through foster care adoption. Beginning with National Foster Care Month in May through August 2018, Wendy’s removed its iconic cameo to highlight that without adoption, Wendy’s wouldn’t exist. 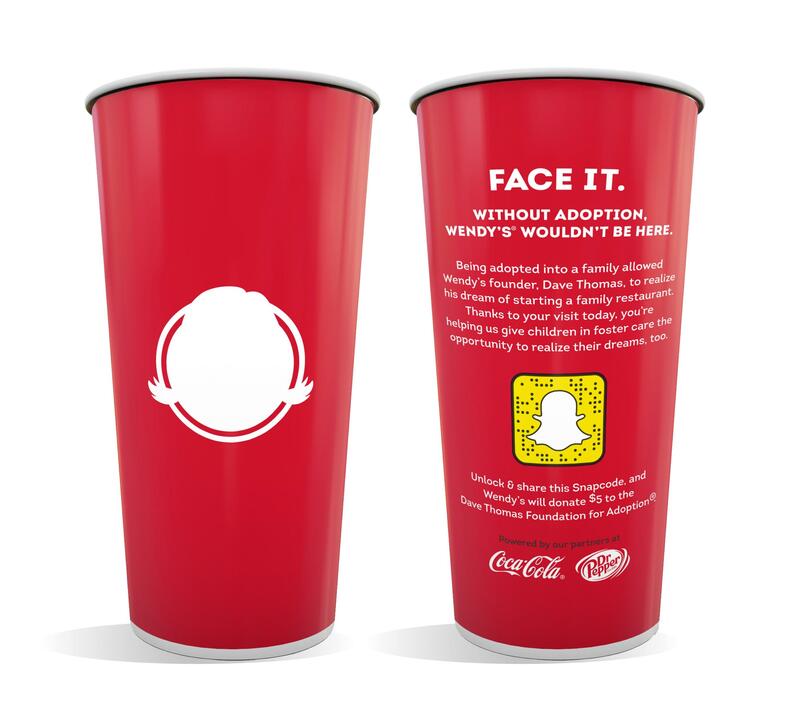 Each time a customer shared the Snapchat filter using Wendy’s “Face It” cups, a $5 donation was made to the Foundation. The campaign was powered by partners Coca-Cola® and Dr Pepper®. When you support campaigns, like Frosty Key Tags, at your local Wendy’s restaurant, you are helping to advance the Foundation’s mission to find forever families for the nearly 155,000 children waiting in foster care across the U.S. and Canada. If your local Wendy’s is sold out of Frosty Key Tags, or you would like to order larger quantities, order online. Delivery may take 14 – 21 days. The Foundation cannot guarantee a delivery date and no refunds will be issued for Frosty Key Tag orders.